It’s another western-cut shirt with snaps. This one seems to be off-white with a pale green pattern of some sort. 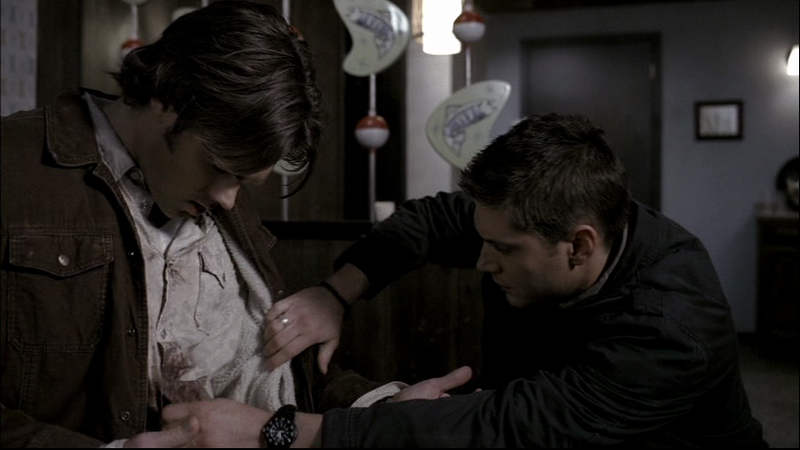 Sam is wearing it at the beginning of Born Under a Bad Sign (2x14), when Dean finds him covered in blood. He then changes out of it almost immediately. We see him wearing it on Steve Wandell’s security footage later in the episode. 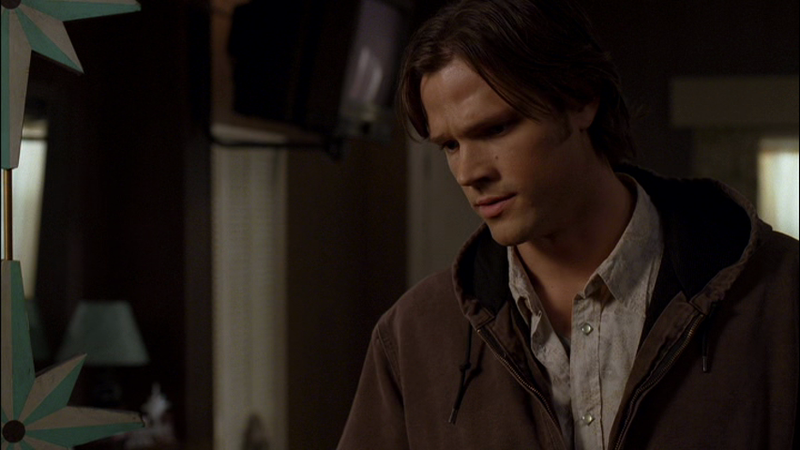 In Long Distance Call (3x14), Sam wears it the day after Dean gets his instructions from “John” and Sam has to go off alone to figure out what is really going on. He leaves it on for the rest of the episode.